Time to go back in time with a band I really thought I'll never see on stage: Hades. OK, you might ask "Which Hades?" Because there is a Colombian band named Hades formed in 1993, and a Norwegian band called Hades Almighty. This one is the original Hades, Dan Lorenzo's band, from the USA, formed in the late 70's! Hades live in concert is a very rare sight. They were supposed to play at the Keep It True Festival in april 2010 but their flight was cancelled because of that volcano ash coming from Iceland. Now they were finally in Germany! Right before the Hades concert it began to rain! Too bad for an open air festival but that happens quite often in most European Fests! At least there was no mud everywhere like in Wacken! We also were given free raincoats, with the inscription "I'm rocking in the rain". A lot of people went to the food and drink tents and watched the show from far. The sound for Hades was not great, but their performance was really good. I loved Dan Lorenzo's playing and rock'n'roll attitude. Even if he doesn't move much on stage, he looked like he was having fun! Alan Tecchio is the original Hades singer, but you also might know him for his work with Watchtower and Seven Witches. It's hard to make an audience respond under the rain, but he did great as a frontman. What a pleasure to hear those good old tunes performed by most of the guys who recorded them! I loved this trip back in time: Guitarrist Scott Le Page and drummer T. Coombs were also original Hades members. 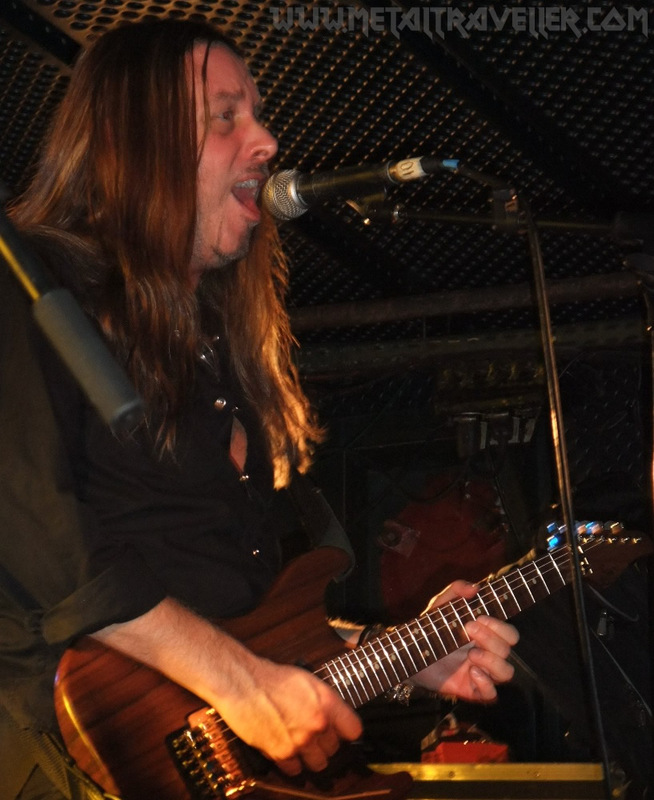 Kevin Bolembach (also known for Seven Witches) was the only non original member. He replaced original bassist Jimmy Schulman. The setlist was composed only by songs from the first Hades albums: Resisting Success, and If At First You Don't Succeed, plus the title song from the album Exist To Resist. Hades also honoured Ronnie James DIO with a very heavy and rough version of the classic Black Sabbath song Voodoo. You can watch this performance on You Tube. Fortunately, the rain stopped after a few songs and more people came to the first rows to see the show. I don't know if Hades will tour again or if they will be back to Europe for some shows, but I know I was very lucky to see them here. Hades have released a few albums after their first two classics, so it would be great to hear them play those more recent tunes! In any case, this was a great metal show! Next band on stage were the Swedish Glam Rockers Treat.